The valuation we offer you will have been calculated by our Valuations Director. Our Valuations Director has decades of experience and appears for litigants in Court as an expert witness regardinf the value of personalised registrations. The figure you will be quoted for your numberplate is the money which will be returned to you once a buyer has been found. The buyer will also pay our small commission and the DVLA transfer fee of £80. As the seller of the registration plate, you will not pay towards the transfer. A year-long replacement registration will be allocated to your vehicle free of charge. To find a buyer, British Car Registrations will advertise your personalised numberplate for sale within their Showroom and on their website. From time to time, there will be opportunities to appear in the national newspapers and you will be contacted when these arise. 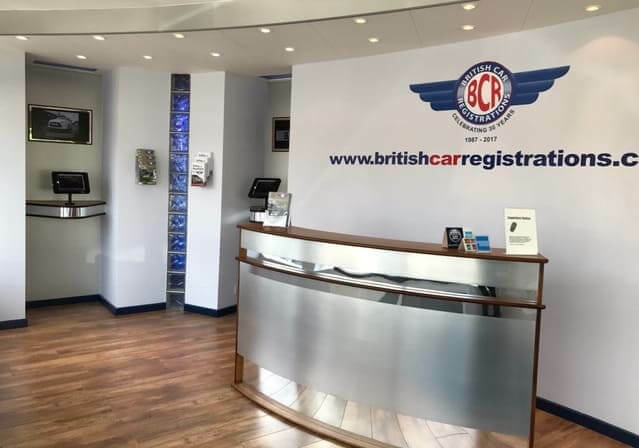 Once you have received your valuation and are happy to proceed, all you have to do is fully complete the authorisation form and scan and email it back to us at admin@britishcarregistrations.co.uk. You can also post it back to us. If the numberplate you want to sell is on a retention certificate, please include a photocopy or scanned copy. Providing your vehicle is roadworthy, you can continue to use the private plate throughout the advertising and transfer period. We cannot advertise your car registration without your permission, so the sooner we receive the authorisation to sell, the sooner we can start the selling procedure. We at British Car Registrations handle each step of the process what could be simpler than that? When we have found a buyer and a deal is agreed, we will write to you to request the vehicle documents we need. We will ask you for the following: Your V5C registration certificate (logbook), your current MOT (if applicable), proof of Vehicle Tax… Or, your retention certificate or certificate of entitlement plus authorisation to administer the certificate. To ensure a swift and trouble-free reg transfer, it is important you send exactly what is required. We will only ask for the documents we really need. In some circumstances, should the registration plate be on a vehicle, the Department of Transport may want to see the it to confirm the chassis/ frame number. This is a relatively quick procedure and can be arranged at a place local to you. If the vehicle is not roadworthy, you will have to take the vehicle on a low-loader to the place. After the DVLA have processed the reg transfer application and carried out an inspection (if required), they will approve it and issue a new V5c registration document for the buyer. It will also be confirmed with an amended V750/V778 document. When we have received the appropriate documents to confirm the reg transfer, we will send you a check for the agreed amount. Click here to sell your reg by submitting the free Valuations form. How does British Car Registrations give your numberplate the best chance to sell? Our single largest area of expenditure is on advertising. We will advertise your personal number plate in the national media including The Sunday Times, The Daily Telegraph, The Daily Express, The Daily Mail, Auto Trader, Top Gear etc. We have an extensive mailing list of people who have contacted us and expressed an interest in purchasing a DVLA private plate. We will email them regularly with the numberplates available for sale, which means your registration plate will be listed within these. Our website is updated each day with all private, personalised and cherished plates which are for sale. To encourage buyers, we offer a generous discount on online orders, which is a cost incurred by us and no other party. Our online shop is fully transactional and is live 24 hours a day, 365 days a year. For your safety and security, our website is approved in all aspects of the SAFEBUY Code of Practice. We have 30 years experience within the Number Plate industry. We pride ourselves on our customer service, quality and value. This explains why, back in 1996, we were the first company within the industry to attain the ISO 9001:2000 accreditation. We were also recognised as ‘Investors in People’. 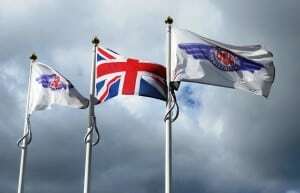 We remain the only registration company to have exhibited at the London and British Motor Shows.